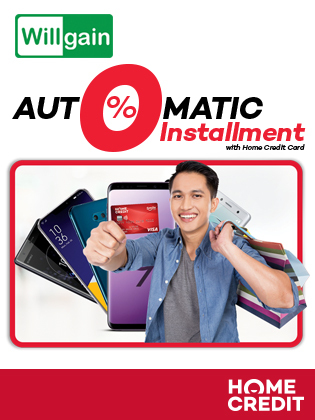 Use your Home Credit Card to get 0% interest installment for 6 months on a min. single-receipt purchase of P3,000. Home Credit Cardholders get 0% interest on a 6-month installment plan when they purchase a min. single-transaction of P3,000, maximum of P25,000, in the participating stores of Willgain Enterprises. Per DTI-FTEB Permit No. 5921 Series of 2019.